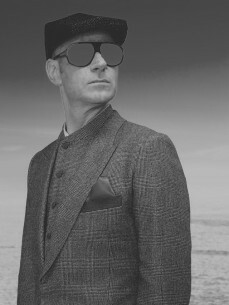 What's made JUNKIE XL one of Europe's premiere Techno outfits is their seamless abililty to create Dance music with a Rock feel. Unlike some Electronic acts who add little scraps of guitar or Rock bands who incorporate simple samples, Amsterdam's JUNKIE XL, with their phat beats, Hip Hop flow and monster riffage, not only blur the lines of live music and samples - they've literally set the standard for all to follow. JUNKIE XL's powerful debut album, 1997's SATURDAY TEENAGE KICK, garnered rave reviews from the likes of SPIN (U.S.) , DETAILS (U.S.) , SPEX (Germany), MUZIK (U.K.): "S.T.K. isn't an underground album, it's pop, but you won't be able to ignore it because this lot are going to be huge" and more and successful tours with THE PRODIGY, GRAVITY KILLS and PITCHSHIFTER. The heart and soul of JUNKIE XL is Tom Holkenborg, best known for his remix work with ROADRUNNER bands like FEAR FACTORY (Remanufacture) and SOULFLY. For 1999, JUNKIE XL unleashed it's forceful follow-up, BIG SOUNDS OF THE DRAGS, a deep cerebral fantasia of '70s Guitar Rock, physical breakbeats, classic orchestration, and of course, Tom's dense, complex studio production. This is a record he worked on for over a year - and all the hard work has paid off. "During the evolution of making tracks, I felt the need to add some warm sounds to the album," Tom explains. "That meant more programming and more live instruments. It adds more depth to the music. I tried to find more variety between the tracks but also within the tracks. I wanted slower songs with a laid back feeling, combined with the fact that some of the aggressive songs on this album are even more aggressive than ones on the first album. It took me a long time to figure out how to do that."